I think we can all agree that having a pool in the comfort of our backyard is something we’ve been dreaming about since we were little kids. So if you’re one of the lucky (and hardworking) ones who have managed to make this dream come true, then you probably enjoy a lot of outdoor activities and most of them revolve around the pool, especially during the summer times. Whether you use it just to swim for relaxation and exercise, organise family contests, have barbecues with your colleagues around it, I think we can all agree that it’s just an invaluable investment. However, if you’re just about to build your swimming pool, or have already built it, you’re not done just yet. There’s one last finishing touch to add – a fence. Why? Well simply because having an enclosed pool area is safe for everyone using it. There are various types of pool fences to pick from, but the best one is probably the glass fence. A glass fence lets you keep an unobstructed view, it’s affordable and can easily be completed as a DIY project even if you aren’t much of a handy-person. You can easily install spigots for glass fencing in a few hours at most, and they’re typically made of stainless steel, a durable material that’s resistant to rust and corrosion. 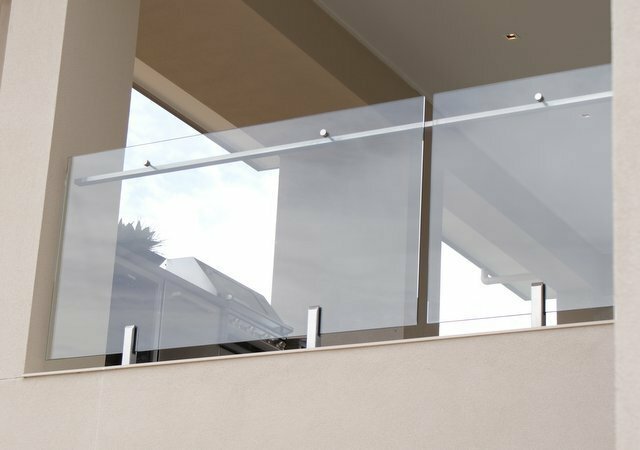 Glass fencing, and the spigots for glass fencing have a contemporary, sophisticated look, and they can provide a sense of luxury. Even if your exterior style isn’t modern, a glass fence can still blend in perfectly, and that’s one of its biggest benefits. Moreover, once installed, glass fences are easily to clean and maintain. All it takes is a scrap of cloth and some generic soap damped in warm water, or a typical window washer to clean it up. Chlorinated pool chemicals are also a non-issue, as glass and stainless steel are resistant to them. Furthermore, contrary to popular belief, the glass fences are generally pretty thick, and don’t break easily at all. The unobstructed view lets you watch over your kids while they’re swimming, something that other types of fences don’t. So you can rest assured that if something bad happens, you’ll be able to react in a timely manner. Moreover, if your kids like to paint and draw over anything, you don’t have to worry about paint on the glass, as it’s easily removable. Before hiring a professional to do the installation, or before doing it yourself, look at all the rules and regulations that the Australian government has imposed regarding pool fences and pool safety. Glass is practically invisible to most wildlife, birds in particular, so make sure there aren’t any bird feeders around, as it may cause a lot of bird deaths from birds bumping into your fence.